The telltale whooping cough sound is important to know. See, whooping cough, also known as pertussis, begins like a cold and then becomes more severe after several weeks. By knowing the signs of whooping cough, you can contact your child’s pediatrician right away, if you suspect she has it. The good news: There is a whooping cough vaccine that can help prevent your child (and you) from getting whooping cough. Babies can have a cough that starts out mild, but they can stop breathing for several seconds as they gasp for air. Children who are younger than 6 months of age may not make the whooping sound but can begin to gag or have shortness of breath.The sound of the child gasping for air in between coughing fits is the whoop sound that is created. You may notice that the cough is dry without any mucus present. The whooping cough sound is followed by several coughs before the child begins to gasp for air again. Pertussis is caused by a bacterial infection that is highly contagious and can easily spread to other individuals in the first two weeks of the illness. Pertussis is known to spread when germs come in contact with other individuals and enter the throat or nose. Although infants who are not vaccinated are more prone to contracting the infection, adults can also suffer from whooping cough. How long does a pertussis cough last? Pertussis lasts an average of seven to 10 days and has three different stages before it subsides. The first stage of pertussis lasts for one to two weeks when the individual’s symptoms are similar to a common cold. The second phase begins when the cough becomes more severe and violent, which can lead to gasping for air, vomiting and getting teary-eyed. The second stage can last for one to six weeks depending on the severity of the infection. Children or adults who enter the third stage will notice that their cough begins to subside. 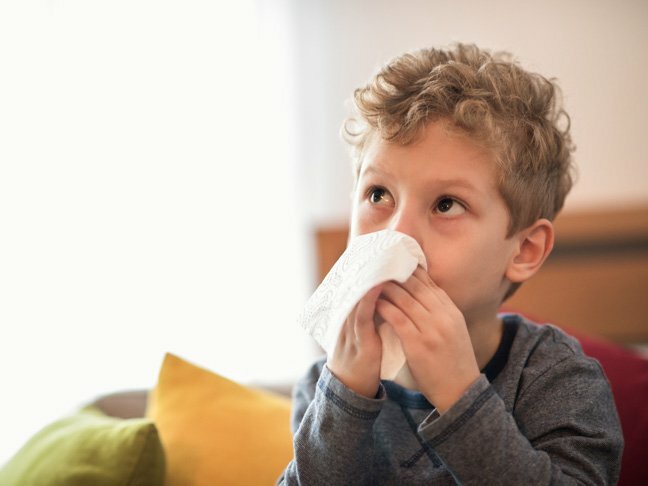 Because whooping cough can be highly contagious and cause further issues, like weight loss, rib injuries from coughing, and even pneumonia, it’s important to get your child, or yourself, to a doctor right away. Baby Rashes 101What’s Causing Your Child’s Barking Cough?